Fresh off of impressive week two performances where the offenses of both teams combined to scored 76 points, the New York Giants take on the Carolina Panthers on Thursday Night Football. The game is loaded with fantasy stars and promises to a high scoring affair. How do the individual matches shape up? Who should be in your line-up on Thursday and how does this game figure to play out? Here is my breakdown on the Giants-Panthers game that will be played Thursday Night in Raleigh, North Carolina. 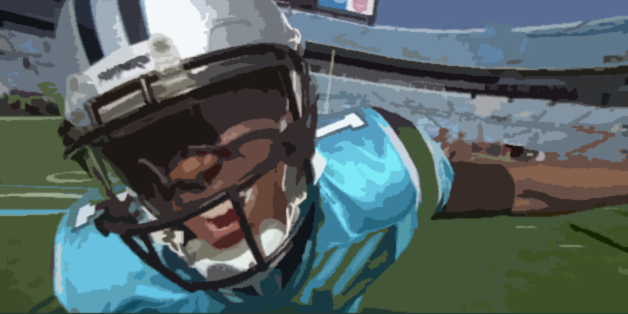 Cam Newton – Newton is poised to have a huge fantasy night. Through two weeks of games the Giants have allowed the eighth-most fantasy points to opposing QBs, and the Giants rank as the fourth-best QB matchup on the Week 3 RosterWatch Matchup Tool. Tony Romo threw for 307 yards and 3 TDs week one and Josh Freeman threw for 243 yards and 2 TDs last week. Newton is nearly matchup proof, but going against a secondary that is banged up and undermanned, Newton is a must start. Prince Amukamara still hasn’t played in a regular season game this year, and coming off a short week, he might not play again. If Amukamara doesn’t play the Giants top three cornerbacks will likely be Corey Webster, Jayron Hosley and Michael Coe. Hosley got his first start last week and played relatively well. Webster has struggled so far this year giving up 8 catches for 201 yards and Michael Coe made Kevin Ogleetree look like Jerry Rice in week one. Look for Newton to pick up yards on the ground as well. With such a ferocious pass rush, the Giants can be susceptible to running QBs, with their aggressive style opening up running lanes in the front seven. Newton is a top four fantasy QB play this week. Eli Manning – Manning is coming off a performance in which he threw for over 500 yards, but had some real poor decisions mixed in. It’s the same story for Eli. He will put up good fantasy numbers, based solely on the volume upon which he throws the ball. He has already attempted 83 passes this season and with starting RB Ahmad Bradshaw out for the game, he will pass and pass often. According to Pro Football Focus, the Panthers have the second worst pass defense through two weeks, posting a -12.3 rating. Chris Gamble is a very good cornerback, but other than that he is alone in the secondary. It will be tough for the Panthers to match up with all the Giants weapons and Eli should shread them. As always, you have to expect at least one or two turnovers with Eli, but his good with greatly outweigh the bad this week. Carolina Panthers – The Panthers running back situation is always tough to figure out, and if Jonathan Stewart plays again on Thursday Night the process of choosing which back to start will return to being its usual headache. With Stewart returning to action last week he received 11 carries to DeAngelo Williams’ 6 carries. Both backs will split carries once again, so tread carefully. In my opinion Cam Newton is the Panthers RB and the only member of their backfield I would like to own. The Giants have allowed their share of rushing yards this season. In week one, DeMarco Murray carved them up for 131 yards and last week Rookie Doug Martin had 66 yards and a touchdown. The Giants defensive game plan will be centered around stopping Cam Newton, which could allow for the running backs to have some success, especially off zone-reads and draws. It’s just a matter of figuring out what RB to play and that’s not an easy thing to do. New York Giants – Ahmad Bradshaw will being missing tonight’s game with a neck injury. That means it’s 1st Round pick David Wilson’s time to shine right?… Wrong! Even with Bradshaw getting hurt in the first half of Sunday’s game, Wilson saw little playing time. In fact he only received six offensive snaps the entire game. It appears as though his fumbles and lack of experience in the offense have put him in the doghouse early. Wilson’s loss is Andre Brown’s gain, as he stepped in and ran for 71 yards on 13 carries and a touchdown. Last season the Panthers were one of the three worst run defenses in the league and just gave up another 163 rushing yards to the Saints last week. Steve Smith, Carolina – Smith is the go-to guy in Carolina and has re-emerged as one of the top deep threats in the league since Cam Newton was drafted. Smith will be matched up against Giants #1 CB Corey Webster most of the game. Vincent Jackson and the Cowboys’ wideouts have had success against Webster this season. Smith still is one of the best playmakers in the game and finds a way to make big plays in big games. I don’t like the Carolina WR group as a whole, but Smith is a guy I would put in my lineup this week. Brandon LaFell – LaFell has emerged as the #2 WR after Smith and is coming off a very good week vs. New Orleans posting 6 catches for 90 yards. The Giants are going to put a lot of emphasis on covering Steve Smith, possibly even bracketing him with a safety over the top. This should allow LaFell to be singled up vs. either Jayron Hosley, Prince Amukamara or Michael Coe. It’s a matchup LaFell can easily win. As the year progresses I expect LaFell to receive more and more targets as the Panthers try to find a second passing option besides Smith. LaFell could be a serviceable flex play this week, if your in need, however it is still too early to feel confident about starting him as one of my top two fantasy receivers. Other Carolina Receivers – Next on the depth chart for the Panthers are players like Kealoha Pilares, Louis Murphy and Joe Adams. While I loved Joe Adams coming out of Arkansas none of these players are fantasy options against the Giants. Victor Cruz, New York – Cruz has emerged as an elite fantasy football wide receiver. Through two games he has been targeted an NFL-leading 28 times, catching 17 of those targets. Cruz is the player that other offenses want to take away, and for that reason I think he will be matched up with the Panthers #1 CB Chris Gamble the majority of the time. Cruz has become somewhat matchup-proof, and has had success against all types of cornerbacks out of the slot position. With the Panthers secondary struggling to stop the pass I expect Eli Manning to target Cruz early and often. With Hakeem Nicks out of Thursday’s game, look for the Panthers to constantly double team Cruz. They will keep a safety over the top of him and not let make the big play he is known for. Although Cruz has the speed to beat double coverage over the top, the Giants might rather take their shots to secondary receivers who are singled up. Nicks and Cruz play well off of each other, so while it is a little bit worrisome that Cruz will receive so much double coverage, I’d still play him in my lineup. Other Giants Receivers – Cruz and Nicks have combined for 474 receiving yards so far, with Nicks out of the lineup Thursday, there are a lot of balls up for grabs. On top of that, #3 WR Dominek Hixon is also out of the game tomorrow night. That means that #4 WR Ramses Barden is likely to reap the rewards. Barden is a big, but painfully slow WR who looked good in the preseason. Up to this point he has only caught 1 pass for 24 yards, but look for that to change tonight. Rookie 2nd Round pick Reuben Randle could also see his first extended game time. Barden is worth keeping on your bench in a deep league, in case Nicks’ injury has worsened or has suffered a set back. Greg Olsen, Carolina – Olsen was one of Rosterwatch’s favorite tight end sleepers prior to drafts. With the departure of Jeremey Shockey, Olsen’s role in the offense was figured to be expanded. As of right now Olsen is the #3 option in the passing attack. Targeted 10 times for 69 yards. The Giants have done a pretty good job limiting tight end production so far this year, although Jason Witten was severely limited when they faced off. Olsen is a safe play, while he may not produce double digit points, he will get you 5-6 points if your in need. Martellus Bennett, New York – Bennett is the biggest benefactor of the Nicks injury. Bennett looks like the player many thought he could be in Dallas, catching 9 passes for 112 yards and 2 touchdowns through two games. While Bennett will receive an increase number of targets, the Panthers linebackers are very athletic and can run/cover any tight end. Rookie Luke Kuechly is one of the better cover linebackers to come into the league in a long time. Bennett’s expectations this week could become unrealistic and he could end up disappointing. There are still 10-12 TE I would rather have in my lineup, but if your deseperate, he will do. The Nicks injury is a huge deal as it’s one less elite weapon the Panthers have to account for on defense. This game could turn into a shootout with both defenses struggling to stop the opposition so far. While the Panthers will have a tough time accounting for Cruz over the top, they should be able to slow down Andre Brown with their fast, instinctive linebackers. Cam Newton will be tough to stop for the Giants, because he can elude and escape their vaunted pass rush. Steve Smith will give Newton a viable target down the field if the Giants play a contain defense, forcing Newton to stay in the pocket.